TRIBUTE TO BOBBY DARDENNE, 1964 Istrouma High graduate, LSU Daily Reveille editor, renowned journalist, and popular university professor. 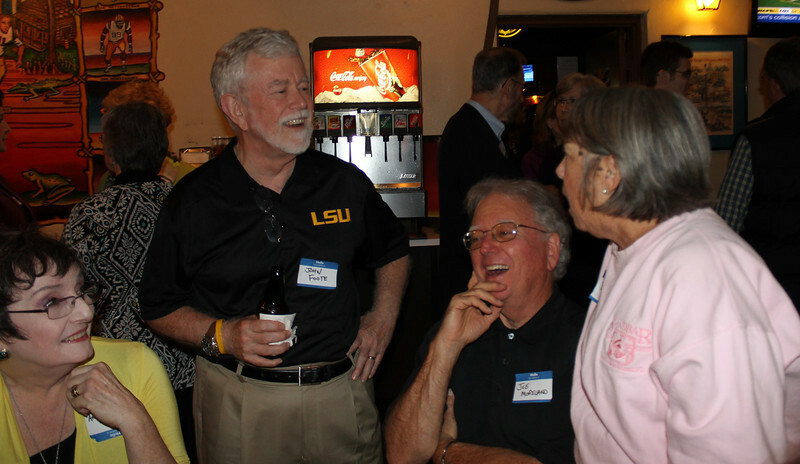 On Friday, Oct. 25, 2013, some of Bob's friends gathered at the Pastime in Baton Rouge to remember their friend with stories and anecdotes — just as he would have wanted. On Saturday, they continued at Reshaven Gardens in Baton Rouge. John Foote led a tribute to Dr. Dardenne. Among those speaking were friends Carolyn Ponder Ellender, Bob Burns, Ervie Ellender, Hank Henagan, George Cotten, Wayne Messina, Maureen Miller, and Woody Jenkins. Photos by Woody Jenkins of Capital City News.